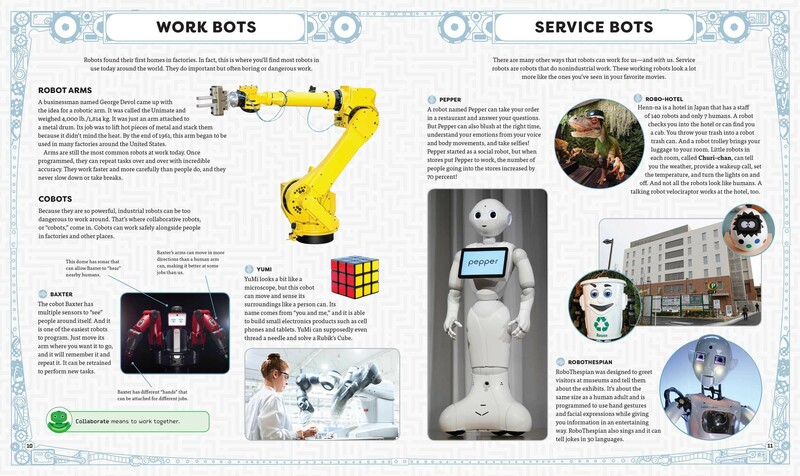 Robots are everywhere—building cars, driving cars, performing surgery, helping soldiers and fire fighters, even vacuuming! 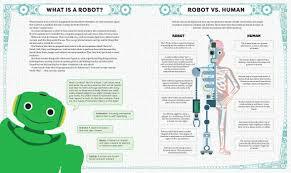 From high up in space to the bottom of the ocean, robots are an instrumental part of how humans are learning about the world. 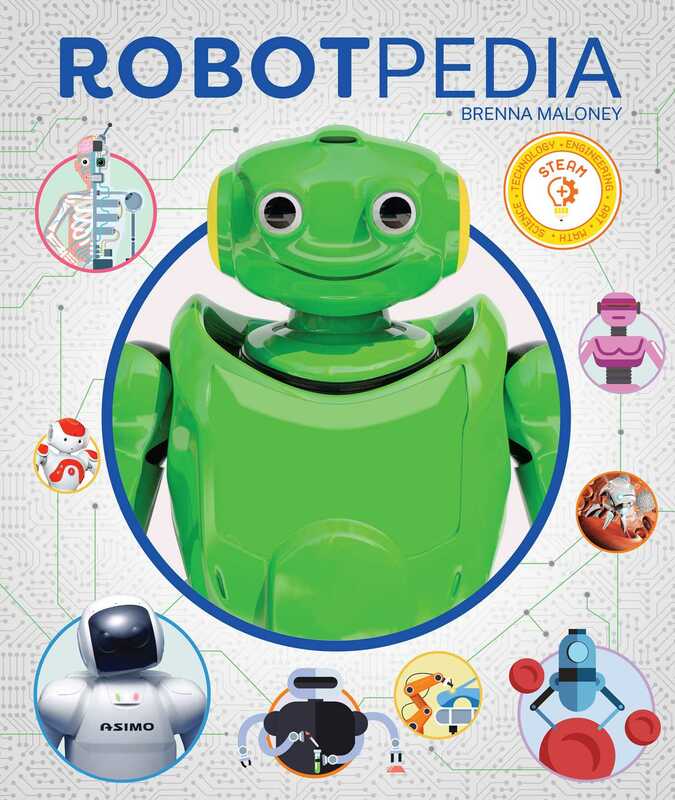 This encyclopedic guide to robotics takes kids through the evolution of robotic technology: from the ancient Greek inventors, to the first robot at the World’s Fair, to nanotechnology already in use today, to D.I.Y. 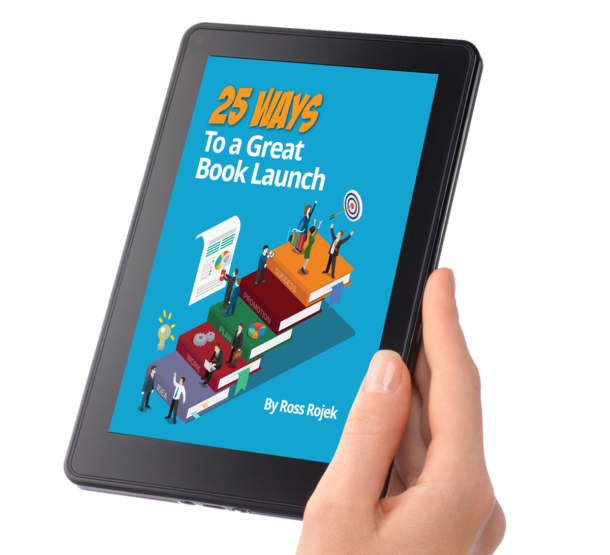 robotics, and even a peek into the robotic future as told by the scientists creating it. 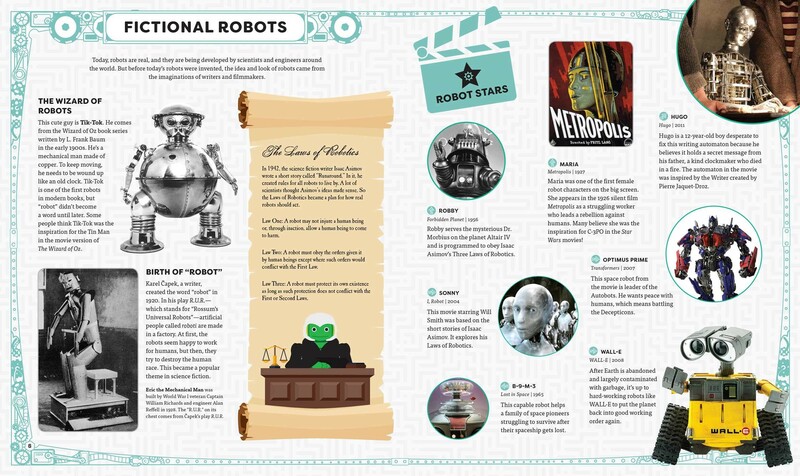 And keeping readers company along the way are many of our favorite robots from film and TV.